Can you even believe the holidays are just around the corner? Last winter was our first winter back in Cleveland and I forgot how cold it really gets! We were spoiled by the mild weather in the south, so that good old lake effect snow can be a bit shocking when it strikes for the first time! 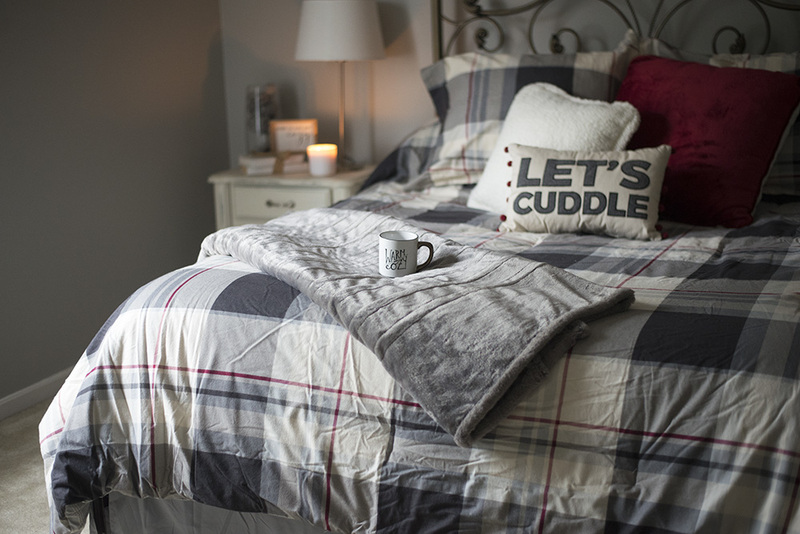 Do you change the bedding in your bedrooms and guest rooms for the holidays? I’ve always put on flannel on the bed because it gets super cold, but I’ve never thought to change the comforter and pillows. This year I decided to get some new cozy winter bedding and I’m kind of obsessed now! Kohl’s has a fabulous selection of home goods and their winter bedding did not disappoint. I always put new sheets on the bed when guests arrive and I want them to be super soft and comfortable. These sheets from The Big One are an amazing value and quality. And like I said, I like to change my sheets out for the season but these could also be used year round too. When it came to the comforter, I wanted something semi neutral and that didn’t scream holidays, but more just cozy winter bedding. And I thought this plaid with the red accent was perfect. It came with the “Let’s Cuddle” pillow and the two pillow shams, and then I ordered two other Cuddl Duds accent pillows to coordinate with it. I’m obsessed with anything faux fur so I knew I had to have this Serta faux fur blanket to throw over the end of the bed. It’s also an electric heated blanket so you can stay even warmer under it. And then unplug it when you’re not using it so it can be decorative as well. Be sure to check out Kohl’s November Home Sale from 11/7 to 11/18 for special deals on Columbia, Serta, The Big One, and Cuddl Duds bedding! Switching up the bedding has made it feel like an entirely different room and I am so ready for the holidays now! What do you think? Do you change the bedding in your bedrooms and guest rooms for the holidays? My blog may contain links to other websites. I am not responsible for the privacy policies of those other websites. 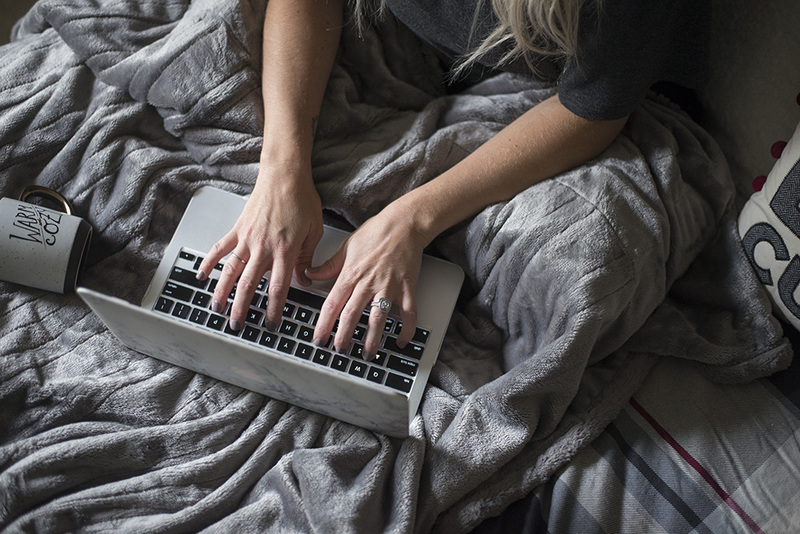 When you click on a link, your information may be collected by those websites so I encourage you to read their privacy policies.” Any affiliate links are not associated with Kohl’s. Love the bedding you chose from Kohls- super cute! It’s so nice to add cozy, winter touches throughout your entire home and I love the pillow! 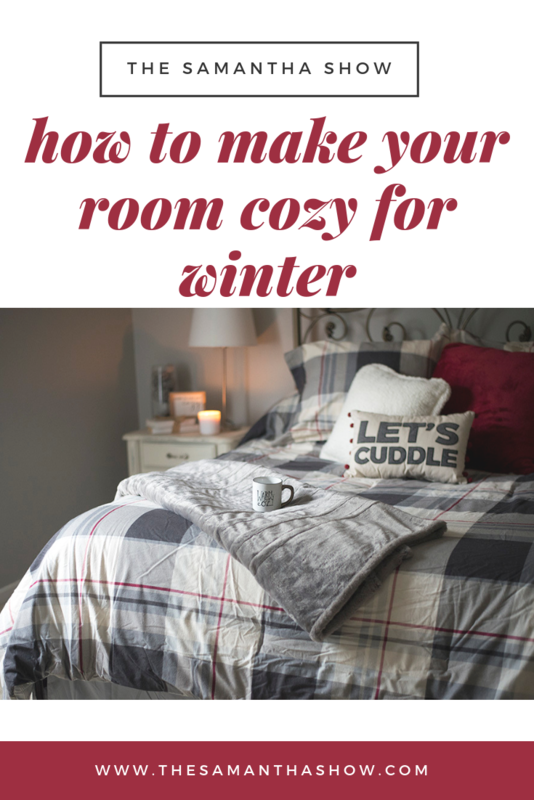 I love cozy bedding for winter and do switch out my bedding for the different seasons. Cute products! I saw your post on IG and was just telling my husband we need to get bedding for the winter. Our room gets so cold in the winter on top of the lovely Ohio winter chill. Definitely going to check these out asap! I am loving these colors and plaid print! Perfect for fall! I love your cozy bed space! It looks so warm and welcoming for the winter months!